Greensfelder Officer J.D. 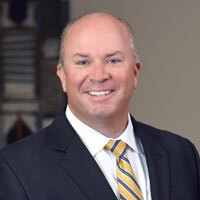 Glisson was a guest on a recent podcast from the Associated General Contractors of Missouri, offering his perspective on current legal issues affecting the construction industry. Glisson leads Greensfelder’s industry group focused on construction, and he is a new board member of AGCMO. On the podcast episode released Feb. 5, 2019, he discussed topics including the legal implications of labor shortages, the effects of medical marijuana laws on the industry, and the continuing rise in electronic communications on construction projects. Having trouble playing the podcast above? Click here to listen.